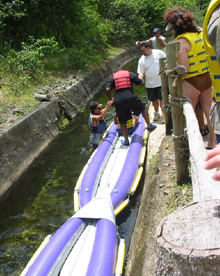 "Kids used to 'flume the ditch' with air mattresses, boogie boards, inner tubes -- anything that could float. They rode down different sections of it whenever they could.” The ditch" is the Kohala Ditch, the irrigation system that sugar plantations in the area used to direct water from the lush valleys to the arid plains where their crops were planted. Stretching 22.5 miles, the system included 57 tunnels, 19 flumes and six miles of open ditches. 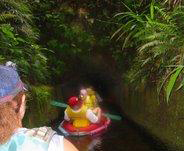 The Flum'in Da Ditch tour, which glided past pristine rain forests, over spectacular ravines and waterfalls and through long, dark tunnels along a scenic 3.5-mile portion of the Kohala Ditch was a wonderful adventure. "Mostly everyone who worked for the company was born and raised in Kohala," says a guide. "It's like having a second family, and a lot of us played in the ditch when we were growing up. I'm really lucky to have had a job in the area where I'm from, that showed people a good time and gave them a little education." In addition to learning about the history of the ditch, participants got a close look at a variety of plants and trees, including awapuhi (ginger), ti, taro, albizia, coffee, mango, apple banana, guava, cinnamon and the kukui, Hawaii's state tree. Once in a while, ringneck pheasants, francolins, turkeys, peacocks, cattle and wild pigs could be seen foraging in the thick green foliage. 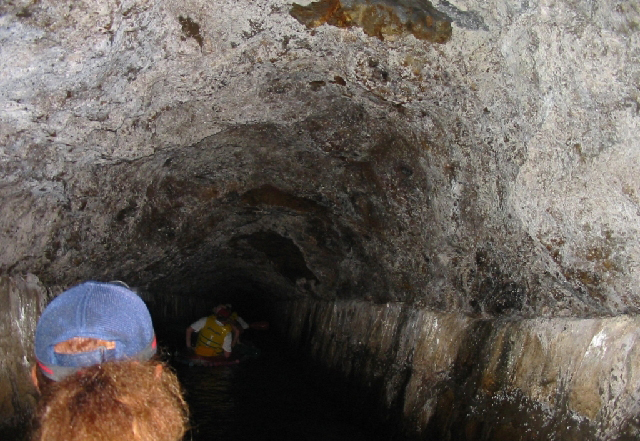 For many, the highlight of the leisurely kayak ride was drifting through 10 tunnels ranging in length from 100 to 1,800 feet. The last sugar plantation in Kohala closed in 1975. For the next 20 years, the irrigation water funneled by the ditch was used by only a few agricultural businesses. 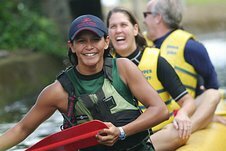 "In 1996 North Kohala residents including Rodney Inaba, were fascinated by the history of the ditch and believed it provided all the ingredients for a unique activity. 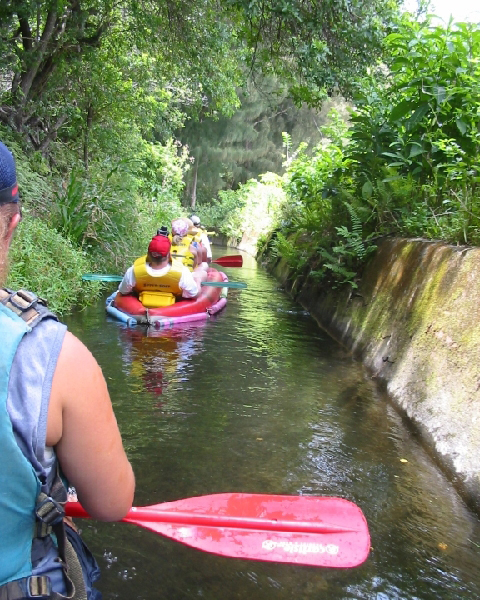 Inaba organized Kamuela Kayak Corp. to take on the project, and Flum'in Da Ditch was launched in December 1996 as a safe, fun family excursion that revived a fascinating part of Big Island history. One of the original guides, Inaba served as general manager of Flum'in Da Ditch, which attracted some 22,000 visitors annually. 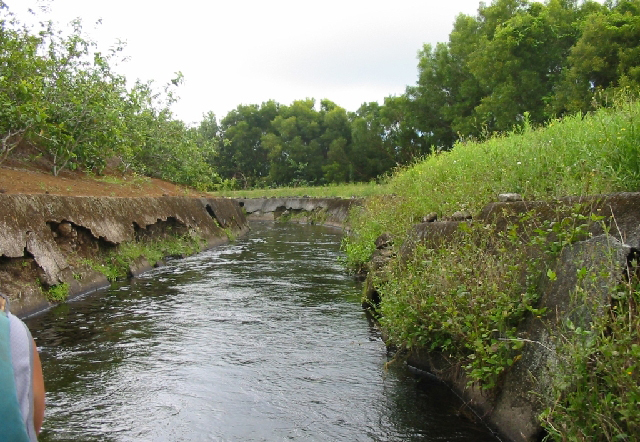 After the earthquake of October 15th 2006, the owners of the Kohala Ditch, Surety Kohala Corporation have completed their evaluation of the future of the “Ditch”. 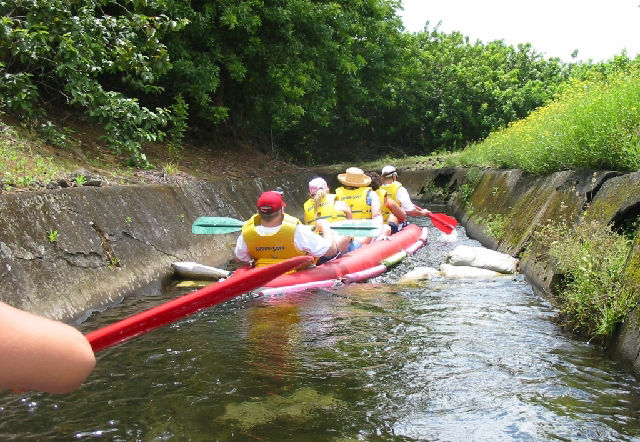 Their conclusion was that they may not be able to repair the “Ditch” to allow “Flumin” Tours to proceed safely for the present. A trio of tour operators is currently at work repairing the Kohala Ditch flume, hoping to open it for tours again late this year.“It’s gonna get going again,” said Diane Holcomb of Hummer Safari Tours, one of the three tour operators. “It’s just a matter of time.”, We’ll keep you posted. Anybody out there ever flume da ditch with these folks? 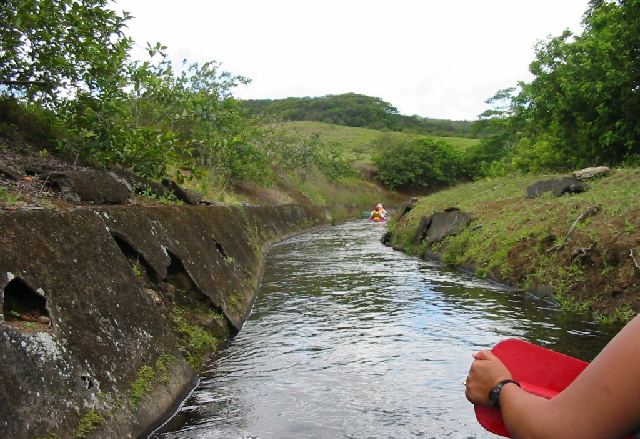 UPDATE, 3/12/08: Work on restoration of the Kohala Ditch is also being completed by a number of Big Island individuals, businesses and organizations, many of them volunteering their services gratis. The Kohala Ditch Project Working Committee is projecting an October 2008 completion.